This thread will be for discussions related to the Logic book of the Introduction to Philosophy open textbook series. See the full project summary. 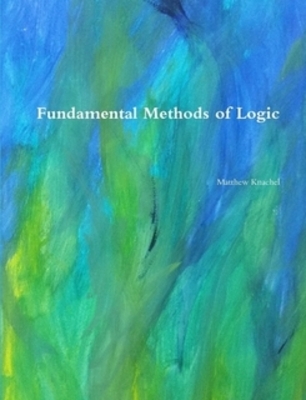 This book provides an overview of logic as the study of arguments, introducing important logical terms, tools, and distinctions. Since philosophy is primarily concerned with providing arguments for claims, and evaluating those arguments, it is tantamount that we understand what arguments are, how to recognise them, and how to go about evaluating them. The five chapters of this part aim to provide some of this fundamental information. The five chapters are: i) What is Logic? ii) Evaluating Arguments; iii) Necessary and Sufficient Conditions; iv) Informal Fallacies; v) Formal Logic in Philosophy. If you’d like to volunteer, let us know by commenting below. Chapter Assignments – All the chapters in this book have been claimed. Team: @benjamin-martin (book editor), @clhendricksbc (lead editor), @zoe (Rebus project manager) … and you? @apurva Although I don’t consider myself qualified enough as a chapter author on logic I be happy to do some proofreading and/or reviewing for this particular section. @jan.arreman Great! We’re still in the early stages with this part, but I will reach out to you when we get to reviewing/proofreading. Watch this space! The first chapter or two of forallx might be useful starting points, if they can’t be used directly for sections 1, 2, and 5. It’s BY-SA but I asked the author and he’d agree to let it be used & distributed under CC BY. It’s in LaTeX so would have to be converted, which I can probably do if there is interest. There’s a list of all the open logic texts I know about. Re: section 3, necessary and sufficient conditions, I recommend anyone who’s going to write this to consult this paper. @rzach Thanks for sharing these resources, Richard! The forall x book seems like a great staring point, and I appreciate your offering to convert it from LaTeX (if need be). It’s certainly helpful to have a list of other free or open logic textbooks. I’m sure @benjamin-martin will be able to chip in on how the text might fit in the sections you mentioned. It’s CC-BY, so ready to be harvested as needed. Also, it’s meant to be used for a broad-based intro to logic/critical reasoning course, rather than a course focused on just modern deductive logic, so it may contain discussions of basic notions more suitable for our audience. @knachel I recall @benjamin-martin joking how hard it was for him to fit everything on this topic into a manageable part, seeing as entire books have been written on Logic. I think your book would be an excellent resource for chapter authors to use or point towards! Thanks for sharing Matt, and congratulations! Just a note to say we are actively seeking comments on the part outline that is linked in the general thread description, above. Please read and leave comments on the doc or on this thread! We’ll move forward on the outline to seek chapter authors soon. Thanks! @rzach Thanks for sharing the resources, Richard. I’m a big fan of forallx, and Magnus’s original seems to have introductory information on arguments and their evaluation than other versions I was aware of, such as Button’s. We’ll definitely point section authors in its direction for inspiration. Thanks for sharing for the Varek paper, also. Maybe yet another good motivation for a stronger conditional! @knachel Thank you for sharing your textbook, Matt, and congratulations! I’ve downloaded it, and will give it a look over the weekend. Please let us know if you would like to offer a particular part of it up to serve as a section in this textbook. @benjamin.martin Any part that you think might be useful can be used for the textbook. I have material that could be a part of any of your proposed chapter, except, I suppose, the one on necessary and sufficient conditions. The main challenge I see is the word-limits. For example, my chapter 4 covers the basics of sentential logic–syntax, truth-functional semantics, translation, truth-table test for validity–and it comes in at about 16,000 words. I’m not sure how one gets that down to 3,000. If the goal is to get the student to the point of understanding how this logic can identify formal fallacies, that means truth tables; and to get to those, a whole lot of preliminary work has to be done. I would be happy to help with esp. chapter v, though I won’t be able to take lead. I did a lot of work on Forallx: Calgary remix with @rzach, and have taught a class using that book. I could also help with proofreading/copyediting any of this, and have enough knowledge to comment on any of it. Wonderful, thanks @athomasb! We’ll see who else shows an interest in chapter v and put you in touch. Your input will be great to have. @athomasb Thanks for offering to help, Aaron. We’ll let you know as soon as we get some chapter drafts, or some potential collaborators. @knachel I agree about the challenge of word-limits, particularly with ch. v. The aim of that chapter is to introduce the concept of formal logic, and what one should expect when they come into contact with a purely logic textbook, such as yours. I mentioned in the part outline that it would be better to use propositional logic in examples, as it is still used by the community. However, for the reasons you give, some toy syllogistic logic examples may be better to communicate the idea of formal logic as the study of argument forms. I’ve now read the first two chapters of Fundamental Methods and its great, really clear. Would you be happy to adapt part of Fundamental Methods’ Ch. 1 for either Ch. i or ii of the textbook? Regarding toy syllogistic examples. As you saw in my first chapter, I trot those out immediately, as soon as I start talking about validity. It’s pretty easy, at an early stage, to give students a sense that form is what matters in deductive logic, and even to show how one can identify a formally fallacious argument (by adducing a counterexample). What’s hard–and maybe impossibly hard given constraints on word-count–is showing how to prove that certain forms are valid. For that, you need a method (truth tables, proofs, etc. ), and it just takes a lot of words to lay the groundwork necessary to even get to the method. Switching to syllogistic logic is no help there, if the goal is to get to the Venn diagram test. My Chapter 3 covers Aristotelian logic, and it comes in at over 18,000 words. A lot of that could be cut, but not enough to get down to 3,000, I don’t think. I’m sorry that I’m just making trouble here, pointing out problems without offering solutions. Just kind of thinking out loud, brainstorming. I need to do some more thinking (not out loud) about how to address these challenges. Thanks, Matt. Let’s keep it to one chapter for the moment. Have a think about which you’d prefer to write, and then put your name down on the Section spreadsheet (link at the top of this page). You aren’t making trouble at all. I agree that if the role of ch. v were to provide an account of how to prove (in)validity within a particular system, then this would be too much to ask in 3,000 words. However, I conceived of the chapter just providing a brief explanation of how validity within formal logic is associated with the form of arguments. This wouldn’t seem to require providing a decision procedure to do so within a particular logic. If my description of ch. 5 suggests otherwise, I’ll change this on the Section outline. @benjamin.martin I guess I was thinking that the place for a brief explanation of the role of form in determining validity was in ch. 2’s “outline of the means through which we evaluate arguments.” But I suppose you could introduce validity as the standard in ch. 2, give a brief gloss of what that means (premises guarantee conclusion; if they’re true, conclusion has to be), but then delay a discussion of the role of form until later in ch. 5. But I’ll leave that, for now, for you and somebody else to sort out. I’ll put myself down for ch. 1. Thanks to everyone who provided their feedback on the outline for this part! It is now closed for comments. We will start looking for chapter authors very soon, and if you’re interested, just add your name to the spreadsheet at the top of the page. Do you intend to provide any details in the historical development of the subject? Will there be mentions of Aristotle, Boole, Frege, Russell, and Gödel? Also, I think that it is very important to emphasize the significance that Boolean algebra, as a formal logic system, has had on computer science! It would be very neat to have a little box somewhere on logic gates and how these operations underlie the functioning of all modern computers! Finally, it would be worth considering to include a discussion of the significance of formal logic in the foundations of mathematics leading up to incompleteness. As soon as I get access to the actual outline I will revise the above points. Sorry for the inconvenience.